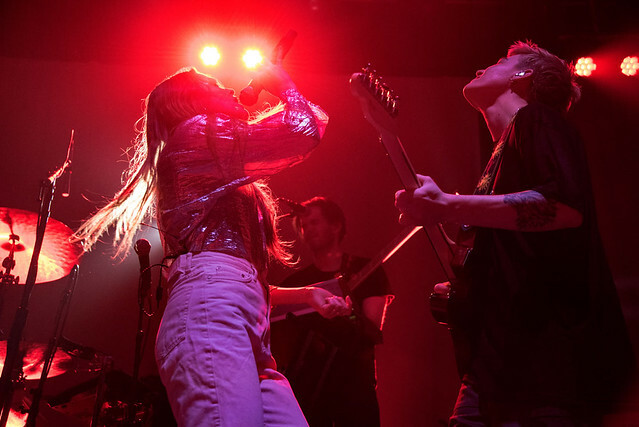 Posted on 04/01/2019 by Mark Caicedo	in Live Review and tagged 9:30 Club, art pop, folk, Maggie Rogers, Maryland. 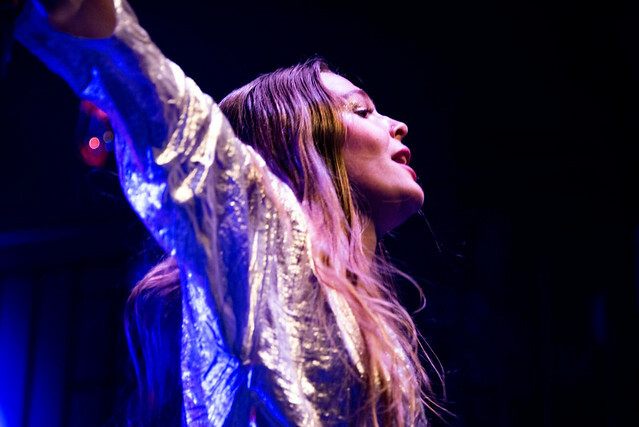 Maggie Rogers is beloved by her fans. 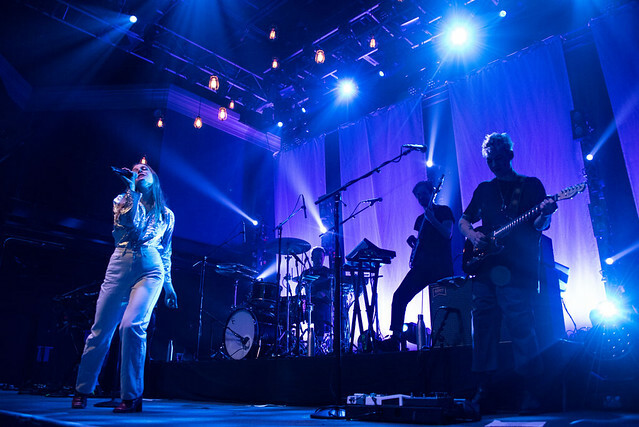 That her recent 930 Club shows sold out weeks in advance provided ample evidence of the fact. Perhaps her signature pop songstress sensibilities have tapped into an audience that identifies with her “regular” girl persona. Or maybe she’s still new enough to the music industry to remember what it’s like to be a fan. Or maybe it’s just that this enormously talented young woman has something to say through her music, and she has found a platform and an audience to say it. 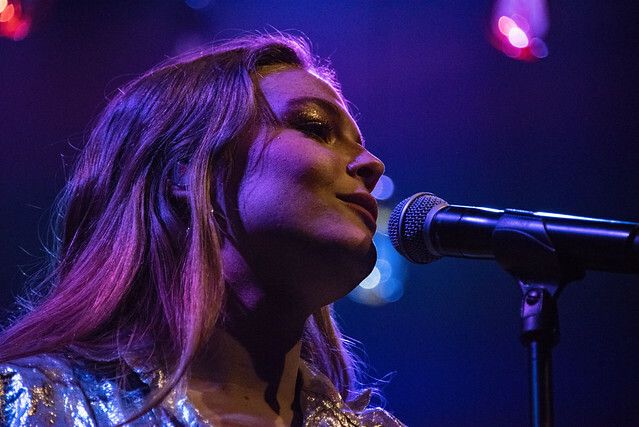 On March 25, Maggie’s 9:30 Club performance began to the strains of Abba’s “Dancing Queen” as the lights lowered, and the band made its way onstage. As Abba ended and the band started into “Give a Little,” Maggie bounded to centerstage, both literally and figuratively letting her hair down. 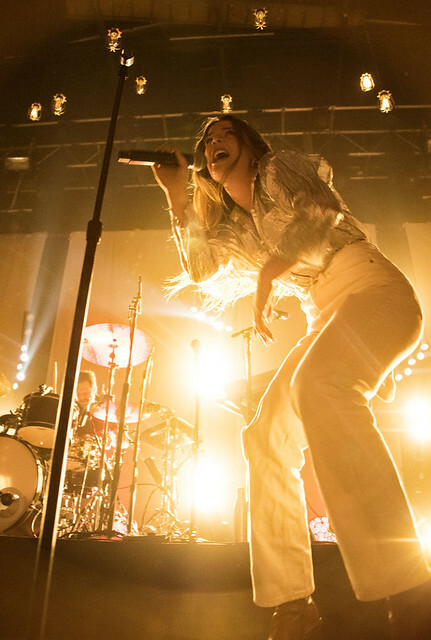 And right from the start, the crowd was bounce-dancing in place as Maggie swayed, twirled, and skipped across the stage, her high-energy set never flagging throughout the evening. 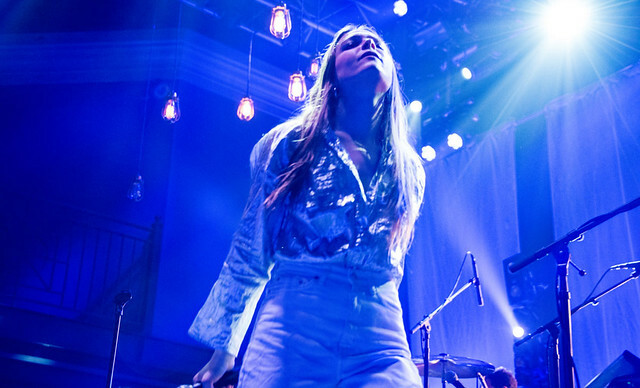 What can be written about Maggie Rogers that hasn’t already been said? That she’s incredibly talented? That she’s a supernova onstage? That she’s tapped into a powerful connection with her fans? For those few who don’t already know, Maggie’s originally from Easton, Maryland, which made this gig a bit of a homecoming: “I always dreamed of playing here. In high school I’d check the listings for the 9:30 Club but could never come to a show because it was always 18+. That’s why I’m so glad this is an all-ages show!” she said. 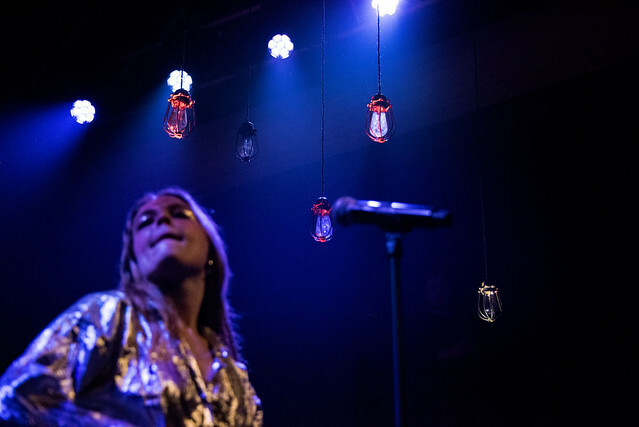 Maggie’s star initially rose, at least on the internet, after her song “Alaska” was played for Pharrell Williams during a master class at the Clive Davis Institute at New York University in 2016. That sudden thrust into the spotlight was jarring for someone who had already been creating music since 2012. Maggie already had self-produced and released two albums, The Echo (2012) and Blood Ballet (2014), but that video of Pharrell reacting to the demo of “Alaska” led to major label interest and a 2017 EP, Now That the Light Is Fading (Capitol Records). 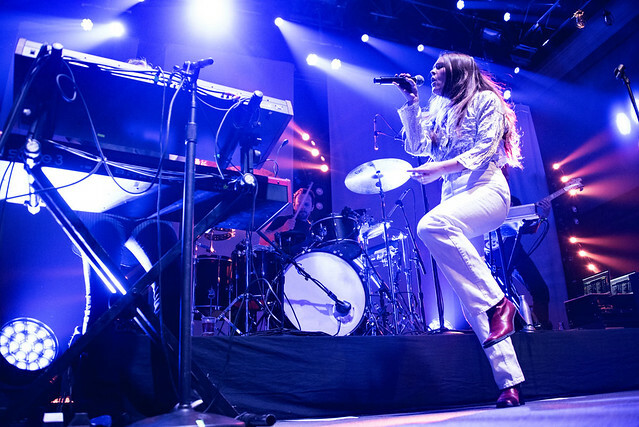 Her debut full length album, Heard It in a Past Life (Capitol Records), published in January, was an attempt to process the whirlwind of events she’s experienced since 2016 and to break out of that industry bubble in which so many new artists find themselves trapped. During “Say It” she stopped suddenly, sweetly but assertively imploring the photographers working the photo pit not to block the fans’ views in the first row. 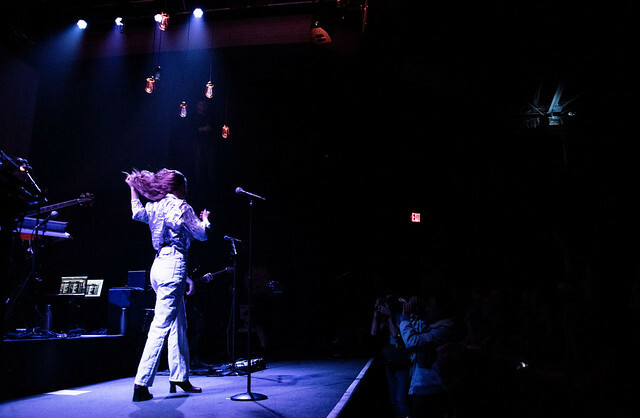 For those who got to the venue early, hung onto places along the pit to get a clear view of the performance, and perhaps actually interact with Maggie, it was an electrifying moment, and it was clearly indicative of a performer who still embraces the meaning of being a fan. 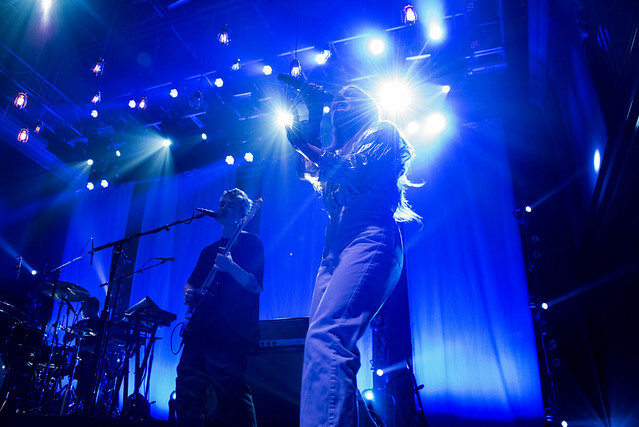 Maggie’s touring schedule stretches throughout 2019 and she’ll be back in the DC area at The Anthem for two dates in October. A date on Oct. 8 sold out but tickets are available for a date on Oct. 7 at The Anthem. Buy your tickets online! For more music, video, and tour information, please visit Maggie’s website. 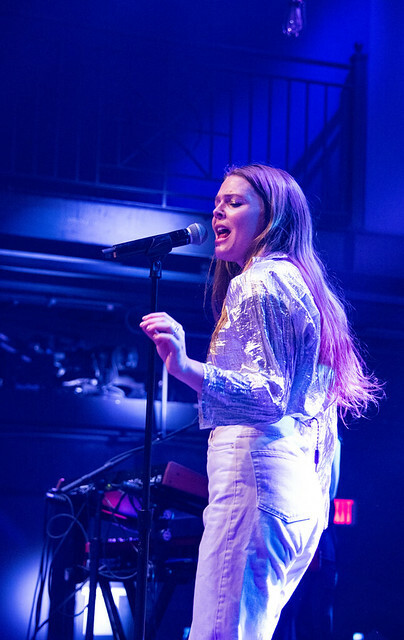 Here are some pictures of Maggie Rogers performing at 9:30 Club on March 25, 2019. All photos copyright and courtesy of Mark Caicedo.